Consistent Weekly Pay you can count on. A Driver Focused Benefits Package. We offer cost effective Medical, Vision, and Dental with low deductibles that you can actually meet. Free "Rolling Dr" Program, Vacation time, Holiday Pay, Safe Driver Rewards and 401K with a match. 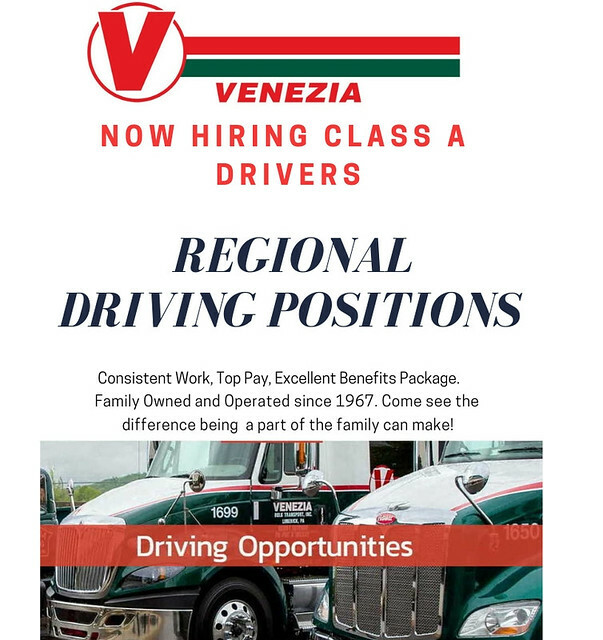 We'd love to talk with you about Venezia, our culture, and show you the difference being a part of the family can make for you! Give our Recruiting Dept a call today at 877-786-3678-CLICK the APPLY BUTTON Below or Text VTRUCK to 41411 for info and application.